These three energetic ‘inventions’ are more for performance than analysis. All three are in the minor and use the chromatic tones freely. They are mainly hands in unison, and definitely twelve-bar in material and feel if not in actual form. If the notes on form (twelve-bar, AABA, ABA) are too ‘academic’ for you at present, just skip them. Everything but the music and the scale-tone counting is optional. A nice easy one in A minor to start with, in swing quaver rhythm. Here is a separate video to make studying easier. Count the main melody in pentatonic shorthand. The material repeats but ends differently. 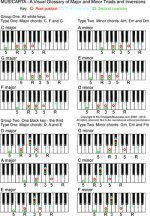 Use the MIDI in the download in MIDI piano slowed down if necessary. Finish the shorthand off as an exercise. In the actual piece, the same material starts playing in Dm but works its way back into Am almost immediately. 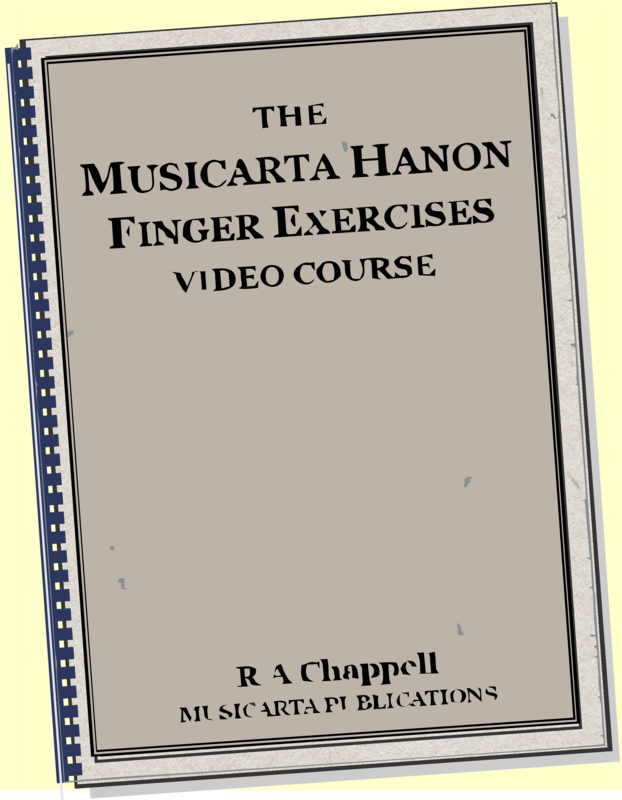 The music in the pentatonic shorthand examples is the right-hand (orange) part in the performance videos. The MIDI is in the project download. 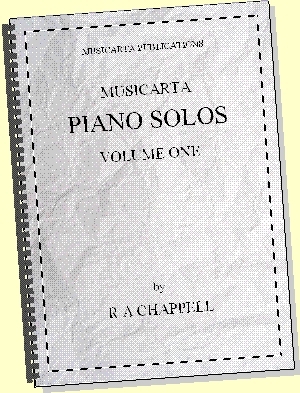 Open it in MidiPiano or similar and slow it down to study. This is also a good way to practice. AABA form – look for the four phrases. The second half repeats, with an extended ending. This is an advanced level solo, but it contains lots of simple building blocks that will be useful in your playing, so persist with it. Note the ‘Even quavers’ instruction. It can be quite hard to drop the swing quaver feel. Count the melody in pentatonic shorthand (MS next page). All the notes are counted in A minor. Counting like this is what teaches you to find the notes instantly when you need them. Notice the three-part ABA structure. The first part is a genuine twelve-bar chorus, too. Developing an eye for structure, or form, will make your playing more confident and make composing a lot easier. 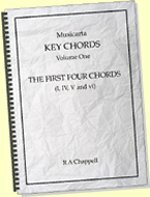 The full chord symbol for the E chord would be E7ë10 (sometimes written -10). 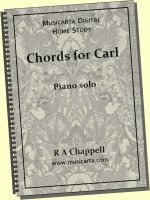 There is both a G sharp and a G natural in the chord – a typical blues dissonance. Listen out for the quotation from Invention Number One in the last section. The even quavers disguise it a lot. Simplify the piece to practice it – play without the RH octaves in bars 3 and 4, for example, or just play the right hand and miss out the more difficult middle bit. Simplifying will reveal possible half-way-house performance, or help you extract segments you can play in your own improvisations/compositions. Try making a simpler two-handed version of the main theme. It will make you think hard about what the minor pentatonic scale-tones sound like. See the video on-page. This is a technique you can always use when material is too advanced for you. 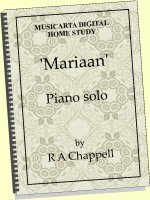 A lot of Musicarta keyboard learners play in bands, so they don’t have to (or want to) play a full solo version. But you can still steal the ideas by playing parts you can’t play with one hand with two hands instead. Back in swing quavers. Count the notes in pentatonic shorthand. Expect to start ‘hearing’ what the tones are going to sound like. 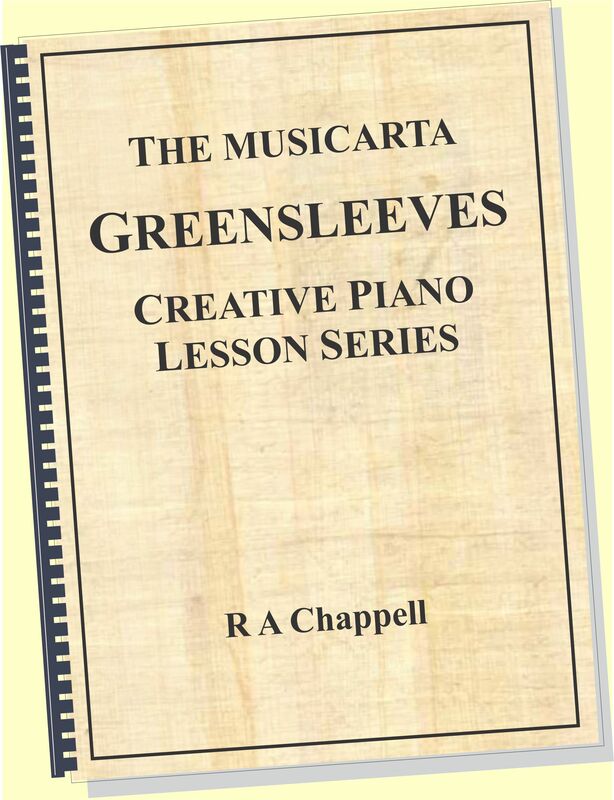 Note the ‘crushed’ notes ( ‘acciacaturas’ in classical music Italian). Blues musicians spend hours perfecting their crushed notes – be prepared to do the same! The extended ending seen in invention No. 1 is used again here. It’s an easy way to finish a piece emphatically. Listen until you hear what’s going on. The last eight-note phrase is repeated twice with slight variations. Try the trick on other pieces or your own compositions. Always end your performances impressively. Don’t just stop playing – nobody remembers that! See more minor unison twelve-bar riffs at Unison 12-bar Riffs (PD 22-07-15).